Visitors to the Oak Ridge Welcome Center, currently located at the Midtown Community Center, are catching a glimpse of early Oak Ridge history when the stop in for information brochures. 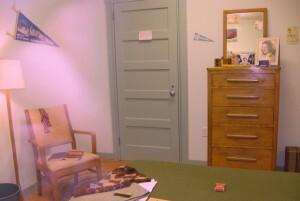 Oak Ridge Heritage and Preservation Association volunteers have decorated a room, visible from the corridor through a large window, with wooden dormitory furniture from early Oak Ridge and other memorabilia from the World War II years. It’s clear that folks are having fun with this. Every time I stop by, the display is a little different, as items get rearranged and more objects from people’s attics and scrapbooks get added to the room. I hope the city’s visitors are appreciating this, too. 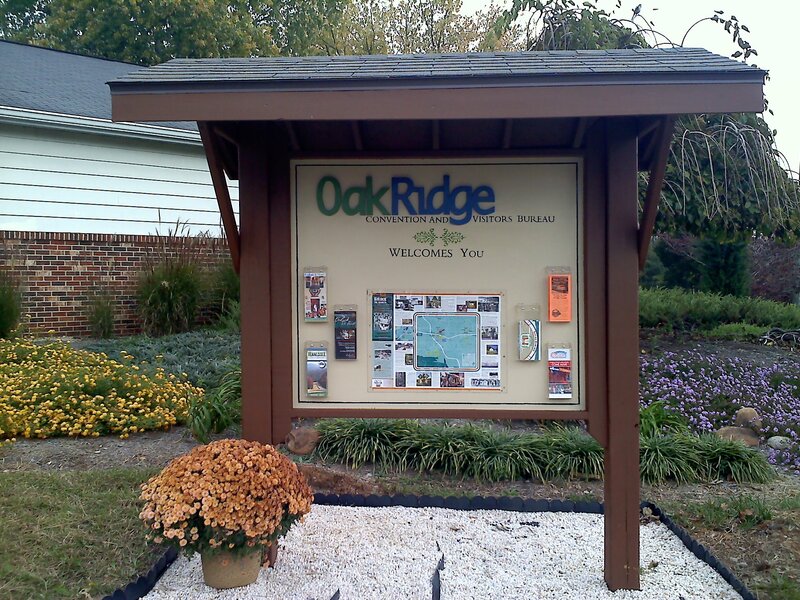 I think it helps convey the message that Oak Ridge is a community with an interesting story to tell. Speak up for K-25 preservation! Tuesday, February 19, is the day when local residents can tell DOE that we want the K-25 North Tower (a big structure, but a small part of the massive K-25 building) preserved to help tell the story of the Manhattan Project to future generations. A meeting to get public input on the future of K-25 is being held Tuesday from 5-8 pm at the New Hope Center at Y-12 (that’s the fancy new building on Scarboro Road). The meeting, cosponsored by the Oak Ridge Site-Specific Advisory Board and the Oak Ridge Reservation Local Oversight Committee, is being conducted for the express purpose of telling DOE what the public thinks. If you can’t make it to the meeting, you can express an opinion online at K-25 Historic Building Questionnaire — fill in the questionnaire and hit “Submit”; an email message containing your responses will be generated, ready to send to DOE. There was an air of excitement at Thursday evening’s meeting of the Oak Ridge Heritage and Preservation Association (ORHPA). 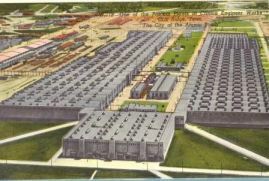 Professional museum consultants who have been working with the Partnership for K-25 Preservation, the local Oak Ridge Heritage and Preservation Association, and the national Atomic Heritage Foundation unveiled their concepts for making part of the K-25 site into an historic museum and a heritage tourism attraction that tells part of the story of the Manhattan Project. There were even two different brand-new scale models of the museum concept on display. The group has done marketing studies that give them a pretty good idea where future visitors will come from and what those visitors will want to see and do. (What a concept! I’d feel better about the Crestpointe proposal if I thought that the city was basing its decision-making on that kind of solid market information.) Oak Ridge already has great appeal for heritage tourists, and we could attract more such tourists and keep them longer if we could offer more visitable historic attractions. The perimeter and height of demolished parts of the K-25 building would be marked on the ground and with a series of lighted poles. The “highwalls” formed by the basement walls on the interior of the U would become a pair of 1/2-mile-long murals. The long public space that would be formed was compared to the National Mall in Washington, DC (which is longer), and long plazas at Versailles, the Eiffel Tower, and St. Peter’s Basilica in Rome. The group plans to get the K-25 overlook spiffed up before the Secret City Festival in June. Heritage trails in the vicinity, covering the Wheat community, Happy Valley, the S-50 site, the African Burial Ground, and other surrounding sights also should be marked and ready to visit soon. - collaboration with the Atomic Heritage Foundation, East Tennessee Historical Society, and other regional and national heritage groups.